Something BIG is here: Xperia XA Ultra is #ShowingYouMore . Sony had this in their back pocket all this time? Well I'm sure glad they announced it! It's going to be a battle for me now. Can you imagine the pain I'll have between both the Xperia X and the XA Ultra? 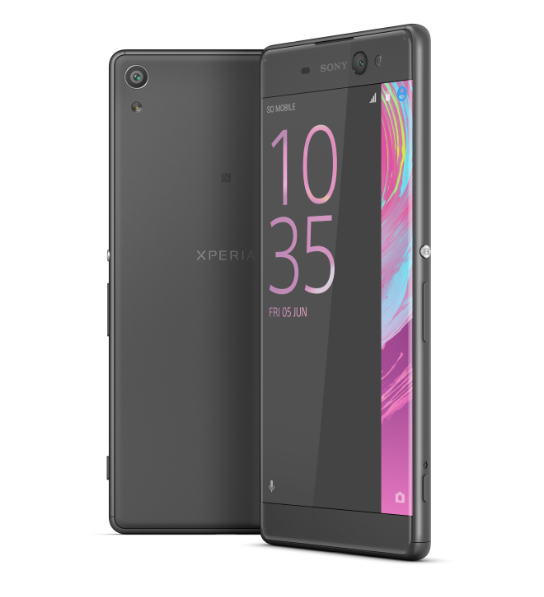 TORONTO – May 17, 2016 – Sony Mobile Communications today announced a new addition to the revamped Xperia X series with the stylish selfie-cam masterpiece, Xperia XA Ultra. With its large 6” screen, 16MP front camera, low-light sensor, up to two days battery life* and stylish thin design with borderless screen it is a fantastic mid-range smartphone for your every need. Boasting an advanced selfie cam, you can create the perfect pose day or night, made possible by its 16MP front camera and Sony’s renowned low-light sensors. Sony camera technology used in the Xperia XA Ultra helps you achieve sharp, bright, blur-free shots every time, it features a smart selfie flash to naturally illuminate your face for night scene selfies plus Optical Image Stabilisation to counter hand shake for both photos and videos. Taking selfies is easier than ever with the Hand Shutter feature, just raise a hand and the shutter timer will start to count down, leaving you time to make the perfect pout and strike a pose. Capturing the perfect spontaneous shot is also possible with the super-fast main camera featuring 21.5MP, Hybrid Autofocus and quick launch and capture so you can go from standby to capture in a fraction of a second. Fitting beautifully in your hand, the infinity-feel borderless 6” Full HD display with curved glass is encased by a metal surround that creates a seamless feel in your hand. Despite the large screen its razor thin design and One-handed Operation Mode means you can still use it comfortably in one hand. Xperia XA Ultra might have a big, bright display, but that doesn’t compromise the Sony battery standard. You still get up to 2-days of battery life* from a single charge, leaving you more time to chat, snap and watch. Need a quick battery top-up? Use XA Ultra together with Quick Charger UCH12 ** and get 5.5 hours of battery life in just 10 minutes. Additionally, with integrated Qnovo adaptive charging technology the lifetime of your battery is extended so over time you get much more use out of your device. Xperia XA Ultra will be available in Canada later this summer with carrier details and specific timing to be shared in the near future. #ShowingYouMore: like us on Facebook and follow us on Twitter to stay up to date with the latest new from #Xperia.